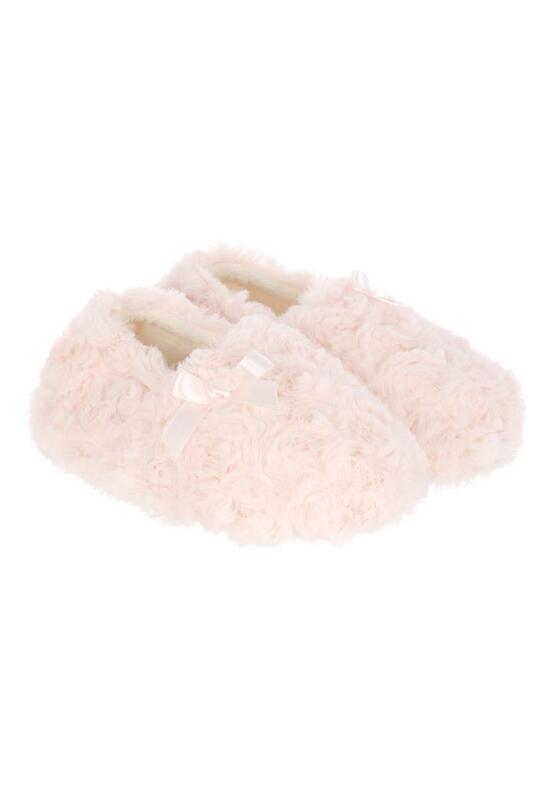 Ensure her toes are kept toasty this season with these younger girls pale pink slippers. Featuring cute sequins an elasticated back, these are a winter essential. Lovely soft fluffy slippers with a good grip on the sole.